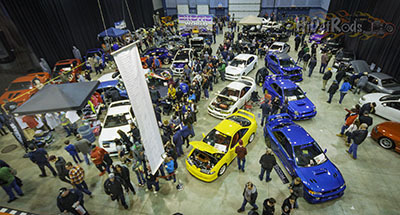 Radical Speed Sport is Moncton’s premier custom car event. The stars of the show are the vehicles... customs... hot rods... imports... bikes... trucks. Hundreds of North America’s finest show vehicles will be competing. The show is promoted extensively in the local media through radio, television, newspaper advertising and publicity. This combination creates a festive atmosphere and draws a significant captive audience over the three-day period. The Moncton Coliseum Complex is not only a great setting for Radical Speed-Sport, but is a major attraction in itself for the people of Moncton and the surrounding area. Do you want to enter your car into the show? View our Vehicle Entry information.